All operating equipment, web design & administration costs for Words for Charity are donated by a private company, Ready Set Sales, LLC. What happens to the funds when I donate for a Publish for Charity story? 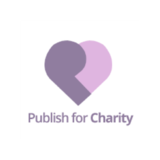 All funds assigned to Publish for Charity are used to create awareness for both the artistic endeavors and charitable causes that Publish for Charity supports, through scholarships, grants and direct giving. How do we select the charities for Words for Charity? Words for Charity carefully selects charities that represent a cross spectrum of the needs that affect our everyday lives. All charities have been chosen carefully by Words for Charity representatives who have had personal involvement through volunteering or giving with the charities. What is a Words for Charity Partner? Select charities that appear on our site are designated a Words for Charity partner.